Adult Missionary Opportunities for Long Term or Intermediate Term Possitions. Some Short Term Missions. Summer Teams To Foreign Countries may be available. Helping feed the poor, providing humanitarian projects and needs. Welcome to Youth Quests International! Your Christian Adult Long Term, Intermediate Missionary Vision and Ministry May Start Here! Short Term Mission, Internships or Missionary Schooling Opportunities Are Available. 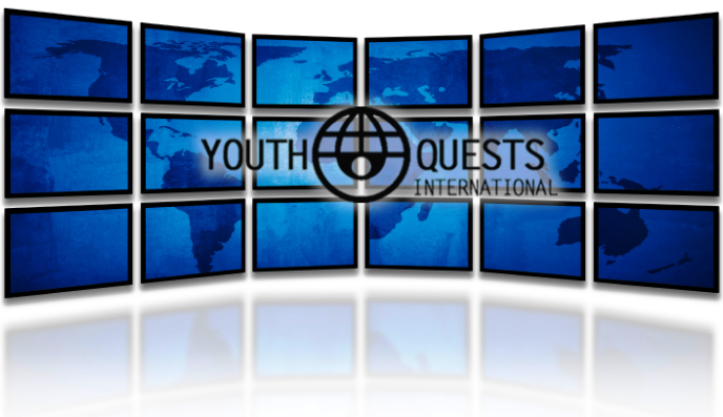 Youth Quests International has undergone some changes in it’s ministry, vision and focus. We are no longer focusing on short term mission trips, but to assist missionaries already in place or to train up those with the call to be a missionary. Although our focus has changed and evolved our faith, desires for the mission field and the lost has not diminished, but has grown stronger and more intense. It’s not about earthly desires, but advancing the Kingdom. There still may be some short term mission trips available for those who desire to go abroad to test the waters. Christian missions opportunities specializing long term missionary endeavors, internships as well as a missionary training school. Assistance to the missionaries currently in place around the world is our top priority. It is our desire to reach people worldwide with the love and hope of Jesus Christ. We are searching for discipled, and Spirit filled teens to older adults to take the Gospel to the four corners of the earth in a practical and tangible way to fulfill the Great Commission; those who will show the world the love and character of Jesus Christ personally and directly from God’s Word. Our desire is to send out equipped youth and adult individuals for long term, internships missions as well as the possibility for some short term trips. These foreign missions will include evangelism, ministry of all forms, building projects and improvements, agriculture, schools, teaching and possibly assisting in orphanages, refugee locations and humanitarian work. In other words, as Paul was, a Tent Maker Missionary so too is the possibility that will be yours as well. The signs and wonders will follow us as we take the love of Jesus to a lost and dying. We have been asked by many missionaries and ministries worldwide for prayer and send out the call for assistance in many locations. I will just list a few for you. Teaching in China with believers, Helping and training with a remote mission in Northern Costa Rica; Missionary Training School in remote area; Assisting Missionaries in Nepal; Coming along side a Missionary on the Western side of Peru with the ministry that is expanding as the Lord has opened the door for having a school, helping in local schools and of course the Mission and ministry itself. Our Focus is on Children's Orphanages Abroad such as in Africa, Thailand, Asia, Guatemala, Peru, Uganda, Kenya, Haiti, India, Philippines, Russia, and others. We are looking for Christian Youth With A Mission and desire to reach Teens, Orphans, and adults around the world who may be troubled and address their problems and needs. Immerse yourself in the friendly Chinese culture of East Asia during your school year teaching in China in a private training school. You will have the opportunity to share your life and and testimonies with Families with Chidren in the Training School. You do not need to know Madarine, but I'm sure you will pick some up as my wife and I did. You will be teaching in English to expand the students English language for understanding and speaking. Most camps focuse are on Character and will be held in Beijing area. For this camp opportunity that lasts 2 to 3 weeks you will need at least 2 people that can work together. This opportunity may have the best of both worlds – traveling abroad and experiencing different cultures and possibly living with a host family setting. You may want to extend your stay to experiance more of China. Peru Mission to the Eastern part of Peru. You would be working along side an established missionary of many years in Peru. He has started another mission and church in the more remote area of Peru and the building is almost finished as of Feb. 2019. He is in need of interns or others to come along side him as the ministry has grown and branched out to many areas. The missionary in place is a National and part of YWAM ministry and ministers through meeting the need and ministry, such as clean drinking water projects, cleaner cooking options, sanitation and so forth through the remote mountain villages. Contack the missionary in Facebook in regards for Opportunities Available. 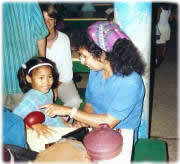 ​This training school is set on location of a remote village mission in Northern Costa Rica. You will learn basics of getting along in area without what we are used to, as well as, learning the spiritual and educational parts of ministry in remote areas. ​Click Missioinary Training School for more information. Immerse yourself in the friendly Chinese culture of East Asia during your summer trip to China. We will take the opportunity to share our lives and testimonies while visiting several unique destinations throughout the country with the Chinese national youth that join us. Click Costa Rica Mission for more information.